Carl S. Ehrlich (Ph.D. Harvard ’91) is Professor of Hebrew Bible and Director of the Israel and Golda Koschitzky Centre for Jewish Studies at York University in Toronto. Among his areas of interest are synchronic, diachronic, and contextual approaches to the biblical text and Israelite civilization. His most recent publications include the (co-)edited collections From an Antique Land: An Introduction to Ancient Near Eastern Literature (2009) and Purity, Holiness, and Identity in Judaism and Christianity: Essays in Memory of Susan Haber (2013). Current projects include a cultural history of Moses and a commentary on Chronicles. Michael Brown is Professor Emeritus and Senior Scholar at the Israel and Golda Koschitzky Centre for Jewish Studies. He holds degrees from Harvard, Columbia, the Jewish Theological Seminary, and the State University of New York at BuffaIo. Except for sabbatical stints at the Hebrew University and the University of California at San Diego, Prof. Brown’s teaching career has been at York, where he has taught a variety of Jewish Studies courses in Humanities and History including the first course on the Holocaust at York. He also initiated the teaching of Hebrew language and literature in the Department of Languages. Prof. Brown’s research has largely focused on Canadian and American Jews. He has also written on Israel, Hebrew, Jewish literature, antisemitism, and other topics. Sara R. Horowitz is Professor of comparative literature and Jewish Studies. She teaches courses on literary responses to the Holocaust, gender and Jewish studies, Israeli cinema, and Jewish memory. She is the author of Voicing the Void: Muteness and Memory in Holocaust Fiction, which received the Choice Award for Outstanding Academic Book. 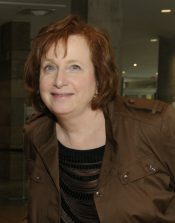 She is co-editor of H. G. Adler: Life, Literature, Legacy, which was awarded the 2016 Canadian Jewish Literary Award in Jewish Thought and Culture, co-editor of Encounter with Appelfeld, and founding co-editor of the journal Kerem. Her research focuses on Holocaust literature, women survivors, Jewish American fiction and and Israeli cinema. Currently, she is completing a book entitled Gender, Genocide and Jewish Memory, and co-editing a collection of essays on the image of Paris in post-war Jewish literary memory. She has served as president of the Association for Jewish Studies and on the Executive Committee for Jewish Literature of the Modern Language Association. She sits on the Academic Advisory Committee for the Mandel Center for Advanced Holocaust Research at the U.S. Holocaust Memorial Museum. Prof. Horowitz is the coordinator of the Graduate Diploma program. 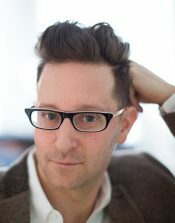 David S. Koffman is an assistant professor in the Department of History. His undergraduate courses include "Worry & Wonder: Jewish Politics, Culture & Religion in Canada", "Antisemitism from the Enlightenment to the Holocaust and Beyond", "God/USA: Religion in America Since 1491", "Making Money," and "More Money Than God: A History of Religion & Capitalism". His current research projects examine the history of Jewish - Indigenous relations in Canada and the US, circumcision debates at the intersection of medicine & religion, and how ethnicity shapes ideas about gambling and financial speculation. 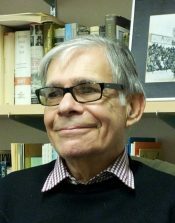 He is an active member of the Robarts Centre for Canadian Studies' Toronto Migration Memory Collective, and the organizer of an upcoming symposium, "Has there ever been a better home for the Jews... than Canada?" He is the editor of the journal Canadian Jewish Studies. Ahouva Shulman is Associate Professor in the Department of Languages, Literature and Linguistics, Faculty of Liberal Arts & Professional Studies. She holds a B.A. in Hebrew Language from the Hebrew University of Jerusalem and an M.A. and PhD in Hebrew Language from the University of Toronto. 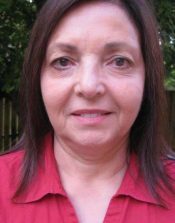 Her areas of teaching include modern and biblical Hebrew. Prof. Shulman is conducting research in Biblical Hebrew grammar. 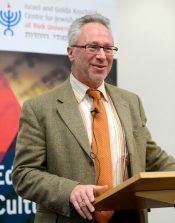 Kalman Weiser is the Silber Family Professor of Modern Jewish Studies at York University, where he has taught since 2002. A native of NYC (BA,Yale; MA and PhD, Columbia), he is the author of several studies about Jewish nationalism and Yiddish linguistics and culture, especially in Eastern Europe. His study Jewish People, Yiddish Nation. 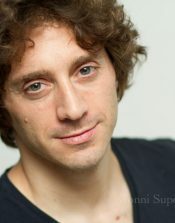 Noah Prylucki and the Folkists in Poland won the 2012 Canadian Jewish Book Award for scholarship. Most recently, he co-edited a revised and expanded edition of a seminal work of Yiddish scholarship, Solomon Birnbaum's Yiddish: a Survey and a Grammar. His current research is divided into two main projects. The first is about Nazi scholars of Yiddish and their relationships with Jewish colleagues before, during and after World War II. The second project involves working with colleagues at the University of Toronto and Tel Aviv University to produce a volume tentatively titled Key Concepts in the Study of Antisemitism and to organize an international seminar to help prepare graduate students to teach courses about antisemitism. He has lectured widely in the US, Europe, Japan, and Israel, in particular about topics related to Eastern Europe, Jews and language, and the Holocaust. Prof. Weiser is the coordinator of the Advanced Certificate in Hebrew and Jewish Studies. Laura Wiseman, Ph. D. Hebrew Language and Literature, is a member of the Faculty of Education, Department of Humanities, and Faculty of Graduate Studies. 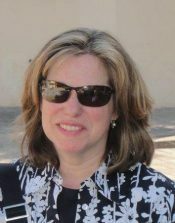 As Koschitzky Family Chair in Jewish Teacher Education, she works with students of the Jewish Teacher Education Program preparing to teach Jewish Studies in formal, informal, experiential education settings. Her research focuses on intertextual reverberations in layers of Hebrew language and literature—prose and poetry, life writing and écriture féminine. Her work takes into account classical Hebrew sources as well as medieval and modern belles lettres.